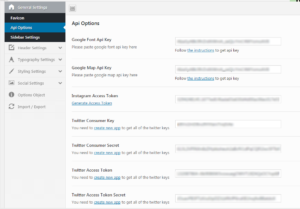 You can access Rs-Card Options from the WordPress admin panel. The settings found here are applied globally and will affect all pages of the site. However, note that many of these options can be overridden locally by applying settings on individual pages or on shortcode elements. This section allows you to set up general settings for your site that will affect its look and functionality. Fill in appropriate fields and the author block will appear above the right side menu and above the single post’s sidebar if they are enabled. 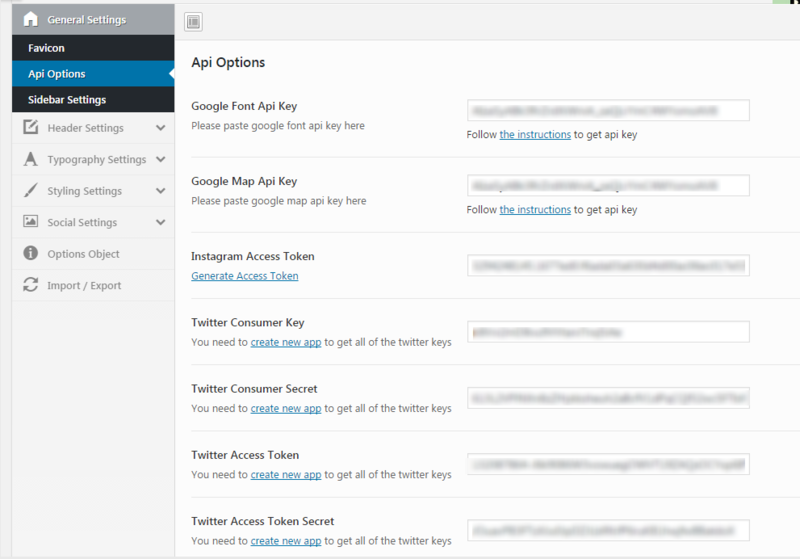 Google Api Options – Here you can put the api keys for google,instagram and twitter. For google font our Theme uses Px-lab’s settings by default, however it has request limitations. We strictly recommend to register new api key for google font and for google map. Here you can enable/disable the “sticky” functionality for navigation. 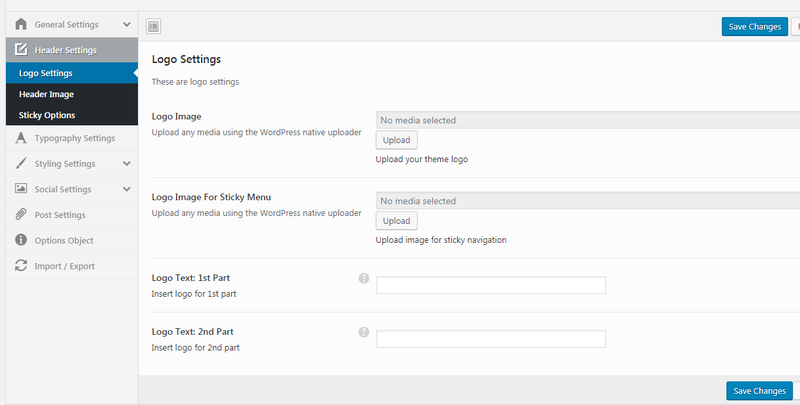 Upload any media using the WordPress native uploader. The image will appear on header of your theme. Here you can select the sticky option for your site’s header. This section allows you to set up your website typography settings. Default font-family is “Open Sans”, sans-serif. This section allows you to set up your website’s color scheme and layout styles. Here you can select the predefined color scheme for your website.If you want to set up different color scheme then predefined colors you can use “Primary Color” option. Here you can select the skin of your website to be white or dark. 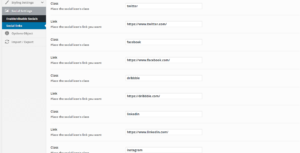 This section allows you to set up Social links you want to appear on your website. They will appear on footer and under “Homepage” templates’s “About” section. Here you can enable/disable social links. Here you can place the link you want and social icon will appear. To remove it, just leave it blank. This section allows you to import / export your settings from file, text or URL.